We hear the same thing repeatedly. If you rent, you’re throwing away your money. Why? Because you have nothing to show for it at the end of the month. On the other hand, if you own your home, you’re paying down your mortgage and building equity. But is this true? Why can’t you build wealth by renting? Today’s guest thinks you can. What it actually comes down to is opportunity cost. You can only spend a loonie once. On today’s podcast, I have Alex Avery join me to talk about his book, The Wealthy Renter – How to Choose Housing that will Make You Rich. Basically, Alex’s goal is to help the reader better understand what a house is in terms of an investment and that if you’re not ready for such a commitment, you shouldn’t give in to pressure. Let’s say for example, you’re thinking you might buy a house and put $50,000 in as a down payment. Instead of putting this money towards a home, that you may not need, you could invest that $50,000 into something else. Alex explains that either way you are earning a return on your capital. According to Alex one of the problems we have is in assuming that a house is an investment. And it’s not really an investment, it’s more of a consumption item. And people have a difficult time because it’s not 100% investment, it’s not 100% consumption but people do assume that it’s 100% investment. Now, Alex isn’t arguing that there’s something wrong with wanting to own a home or that it’s a bad investment at all. Really, one of his main points is to address the misconception that you can’t be wealthy if you decide to rent instead of own. You’re not saying ‘you have to rent; buying is stupid.’ You’re saying you have to think. It’s not one-size-fits-all. Buying isn’t for everyone. Neither is renting. Consider how long you expect to be in a particular location. If you have precarious employment, or know that a job will be moving you to another location, renting is a more suitable choice. On the other hand, if you know exactly where your life will be in the next 10 years and you’ll have children, who will go to school, then it’s probably better to invest in a home. When making the decision to rent or buy, don’t forget all the negative carrying costs of owning and selling a home. Count that against your ‘investment’ decision. Be aware of you biases that might make you want to scale up, buy more, renovate more. Alex uses the term investment creep to explain this bias. Understand how the pro ownership lobby can influence your decision – from the government, to real estate agents, even your friends talking around the dinner table. Don’t be persuaded by someone else giving you advice that reflects their objectives, not yours. A house is the biggest financial decision you’ll make in your life. We’re not saying don’t buy it. We’re saying to really think about what you can afford and what makes financial sense. Listen to the podcast to learn more about Alex’s recommendations on how to make the best housing decision for you. Doug H: For the first time ever here on Debt Free in 30, before we start the theme music, let’s start with a reading from The Wealthy Renter. Here’s the author, Alex Avery, explaining why the decisions we make about where we live have such a significant impact on our lives. Alex A: Where we live defines how we live our lives, our housing choices determine how long it takes to get to work, how much time we spend with our friends and family. If you have kids it determines where your kids will go to school, where they will play and who they will play with. It can affect how well we do our jobs, it can determine how much money we have for other things like travel and the nicer things in life like cars, jewelry, clothing, electronics and collectibles. It’s probably the biggest factor that determines when we can retire and how we retire. Housing is the largest single expense in life for the vast majority of Canadians. For those who choose to own, buying a home is the biggest purchase of their lives, for renters, the rent cheque is usually the largest monthly expense. And over a lifetime is almost certainly the largest expense. As the biggest expenses of our lives, how well we manage the cost of our housing has a greater impact on our cost of living than any other factor. With all this at stake how can you afford not to know as much as you can about housing? Doug H: Welcome to Debt Free in 30, I’m Doug Hoyes. With all this at stake about real estate, how can you afford to know as much as you can about housing? I agree. The problem is that based on my experience we Canadians don’t know as much about real estate as we think we know. We think that the best investment we can make is to buy a house, but is that true? How is it possible that you could actually be better off financially by renting instead of buying? You already heard my guest today read a passage from his book explaining why real estate decisions are so important and today he will explain why he believes that for many people you are more likely to get rich by renting instead of buying a house. Alex Avery knows real estate. 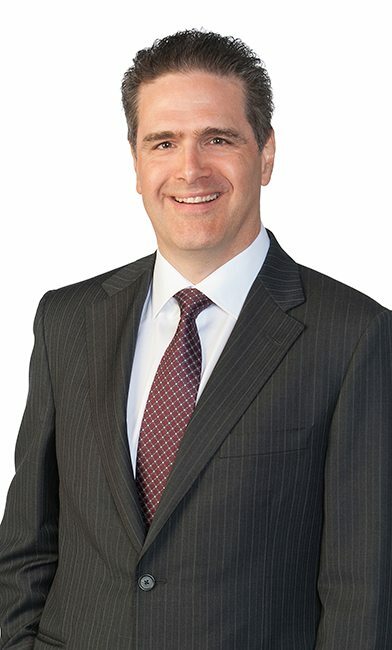 He spent the last 15 years studying real estate and for the last 12 years he worked at a bank analyzing publicly traded real estate securities. 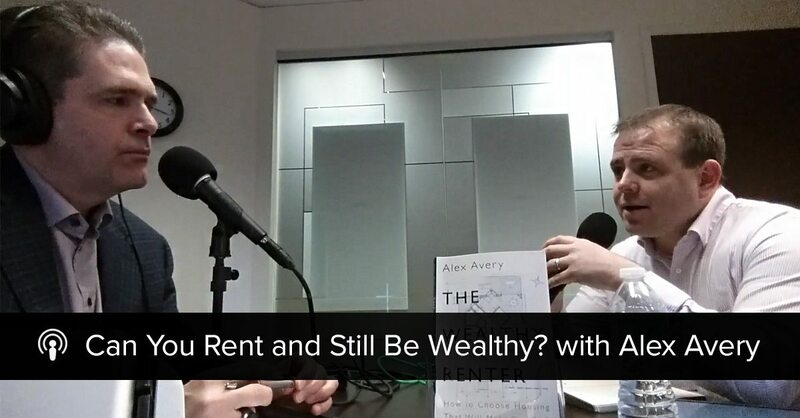 I started the interview by asking Alex Avery why he decided to write The Wealthy Renter, How to Choose Housing That Will Make You Rich. Because analyzing companies is not directly related to the advice he gives in The Wealthy Renter. Alex A: It’s really not. And about I guess 10 or 12 years ago as I was starting at the bank, you know, in the course of everyday activities I would run into all sorts of people and, you know, in the casual conversations that you have with strangers people would ask, you know, what do you do? And I would say I work in a bank. What do you do there? I’m a real estate analyst and the next question was always should I buy a house? And I would always preface by saying well that’s not actually what I do, but let’s talk about it. So over the course of hundreds and even thousands of these conversations I started to identify patterns of thinking that I thought were inconsistent with the reality of what a house is in terms of an investment. And so I started writing down these oddities that I was coming across and, you know, initially writing down what the misconception was and then also writing down what the reality was behind it. And, you know, initially I didn’t really think about writing a book, you know, over the course of writing down all these ideas at one point thought wouldn’t this be interesting if it turned into a book? And, you know, a dozen years later it did turn into a book. Doug H: And here it is, The Wealthy Renter and I’ve read your book and I agree with your point of view. I will be right up front about it and anybody who’s ever listened to this show knows that. But I mean I’ve met with hundreds of people over the years that say exactly what I said in the intro which is, you’re throwing your money away if you’re paying rent. If you rent at the end of the month you have nothing to show for it but if you own a house at least at the end of the month you’ve paid off the mortgage and you’ve built up some equity. And that sounds perfect reasonable but obviously you don’t agree with that way of thinking, so, why not? Doug H: Well, so let’s talk math then. Compare for me renting versus owning. And we don’t have to do exact numbers but paint the picture for us then. Alex A: I guess the basic premise for anyone who’s sort of taken Economics 101 you get down to opportunity costs. So, when you’re a renter you’re renting a house from a landlord, when you buy a house you’re renting the capital from the bank initially in the form of a mortgage. So, whether it’s rent in the form of rent, rent in the form of interest that you pay to a bank or ultimately if you were to buy a house and pay off the mortgage, you effectively are paying yourself a return on capital on the equity that you have on your house in the form of an opportunity cost, so non cash expense. But were you to take that money out of a house and put it into another investment like a dividend paying stock, there would be an amount of income that you would get each month. Doug H: Yeah, so you’re saying that you can only spend a loonie once, that’s what opportunity cost means. So, to buy a house I’m going to have to have, I don’t know, a $50,000 down payment or whatever the number is. If I rent a house I can take that $50,000 and do something else with it. Doug H: So again, we’re making up numbers here but let’s assume that there’s two people, one person puts $50,000 bucks into a house and the other person rents and puts $50,000 dollars into something else. So what would the something else be? Alex A: Well, it’s interesting because the sort of the next step in understanding that there is an opportunity cost to housing is then separating housing from your personal life and saying let’s look at it as an investment. And as an investment housing is actually a pretty terrible investment. Doug H: Okay, now that can’t possibly be true because we’re recording this in downtown Toronto and we all know that for the last, I don’t know, five, six, seven, eight, nine years up until about I don’t know spring of 2017 when things started to get a little bit soft, everybody, every house, has always gone up, gone up, always gone up. So how can that possibly be a bad investment? Alex A: Well, if you look at housing on paper and look at the characteristics of the investment, they’re all pretty bad. So transaction costs are extraordinarily high, 5% if you want to buy a million dollar house in Toronto you’re going to pay $50,000 in terms of the brokerage fees and then legal fees, land transfer tax each time. So when you buy a house $50,000, when you sell the house another $50,000. If you wanted to buy a million dollars worth of stock you could do it for 6.99 on a discount brokerage. Doug H: So seven bucks versus 50,000. Okay, so I get that. Alex A: Transaction costs are high, the liquidity is relatively low. If you want to sell stock you can sell it in an hour, seconds. If you want to sell a house it could take months, years. The relationship of housing to your personal life and your emotional wellbeing also complicates the investment. One of the things in the professional investment world is trying to minimize the behavioural biases and there’s nothing quite the same. I mean you’re never going to buy stock and then think about selling it and say it’s probably time, it’s probably maxed out but got to remember Tommy’s going to grade seven and I don’t want to move school districts. Doug H: Yeah, my kid grew up on this stock. I don’t want to sell it. Well, not there’s much less emotional attachment do it. Alex A: One of the biggest themes that I talk about in the book is the idea of investment creep as well, which is a concept that I, a term I coined myself. But what it really tries to describe is that most homeowners in Canada will be familiar with, and that is the moment when you’re standing in the kitchen of a house that you’re looking at, you’ve looked at two or three or five or 10 houses. You’re there with your friend your partner, your parent and the real estate agent and you’re debating whether this is the right house. You’ve looked at a house that was below your budget but it needed a lot of work, you looked at one that was at your budget but it didn’t have as much shine on it and then you’re standing in the kitchen of a house that’s 20% above your budget. And you look at your partner and you say it’s got a brand new kitchen, it’s got an extra bedroom, we can have our friends and family come and stay over and let’s go for it, it’s an investment. Doug H: It’s a good investment. Alex A: And it’s not really an investment, it’s more of a consumption item. And people have a difficult time because it’s not 100% investment, it’s not 100% consumption but people do assume that it’s 100% investment. And then when they run the math the perception that Canadian housing has actually been a fantastic investment over the last 25 years, which I will note has been a rather extraordinary period for housing is not actually very good. Doug H: So we’re going to talk about that. The concept of investment creep I guess is exactly the same as consumption creep. You know, when I’m buying a car I get a fancier car that I need, when I buy a toothbrush maybe I get the fancy one, but in those cases buying that fancy toothbrush ends up costing me an extra three bucks, it doesn’t end up costing me hundreds of thousands of dollars. And that’s what gets you into trouble with investment creep when it comes to a house. So, back to your – you just made the point then that real estate is not as good an investment as we think and the last 25 years have been a historically booming period. Is there a reason for that? Alex A: Yeah I mean there have been a whole bunch of things that have lead to the, I guess the relatively rapid escalation in prices of housing lead by Toronto and Vancouver. Everything from a generational decline in interest rates from the early 1980s, you know, short term interest rates were over 20% and now they’re 1% or less on the short term side to structural changes in markets. If you look at the Vancouver market land constraints are really one of the biggest factors in house prices and real estate prices in general. And if you go back to the late 80s there was still a fair bit of undeveloped land in the Vancouver market so, housing supply could keep up with housing demand. And sometime in the late 80s, early 90s they basically ran out of land, green field land for development. And so house prices have been rising in Vancouver since that time. If you look at the Toronto market there was a big policy change in 2004, 2005. The McGuinty government introduced the green belt and then subsequently a companion policy called Places to Grow. And those basically took what was a largely unconstrained market with lots of developable land and converted it into an island. So that the green belt basically precluded single family supply from satisfying the demand for housing. Doug H: And obviously Toronto, the south there’s a big lake so can’t move very far south. And in Vancouver you’re right, it’s much more boxed in Toronto. So, okay so house prices do not – we’ve had an exceptional period of time for all the reasons you’ve mentioned. I mean demographics I guess too would certainly factor into that. That’s not necessarily going to repeat itself again in the next 25 years. I mean the things you said were one time things, you can’t just create land in the next 25 years or shrink it. So, on a math point of view then what you’re saying, and this is one of the central themes of the book, is when you actually compare renting to buying, buying does not look as good as you would think. So, one reason is our brains don’t think of all the costs. So I bought the house for $500,000, I sold it for $600,000, therefore I made $100,000. That’s not reality. Alex A: That’s not reality for a number of reasons. If you were to look at, if you were to simply buy the TSX composite index, the broadest measure of the stock market in Canada you would have a positive carry, you would have an income yield associated with the dividends that come from that portfolio. And when you live in a house there’s a negative carry in the sense that you have to pay some sort of capital maintenance whether it’s paying rent to a landlord, interest to a bank or opportunity costs to yourself. You’re also going to have to pay maintenance costs, heating costs, there’s all sorts of costs and then that’s where you get into that slippery slope where what is necessary versus what is desirable and this idea of investment creep, the kitchen probably is functional. A 50 year old kitchen is still usually pretty functional but people tend to like to upgrade kitchens that are 50 years old and they justify it by saying it’s an investment. But that’s in fact a pretty terrible investment. And I usually use the analogy that putting $50,000 kitchen or $100,000 kitchen into your house is the exact same as buying a $50,000 or $100,000 sports car. The moment you drive it off the lot, it drops 20% and most of the value has depreciated in the first five or 10 years. And it’s for the exact same reasons, I mean a brand new kitchen is a beautiful brand new kitchen, a one year old kitchen is a one year old kitchen. Doug H: Is a one year old kitchen, yeah. Alex A: And, you know, the people who buy your house might have different tastes. So, the value you get out of that is one of the funny anecdotes that I often come across in the housing industry is that when you ask anyone where’s the best bang for your buck in terms of renovation dollars, everyone knows that it’s the kitchens and the bathrooms. And I find that really entertaining because if you think about who you’re getting that advice from it’s usually real estate agents and contractors. And the contractors have a pretty heavy bias on that front because you can spend 50 or $100,000 on the kitchen, try to spend $5,000 on your living room. It’s pretty difficult. And so you see that, you know, the advice that you’re getting is tailored to the needs of the people who are giving you that advice. And, you know, it’s one of those things where a lot of the people asking for that advice also want to spend money on their kitchen, they want to have a beautiful kitchen, they want to have their friends over and show if off. And the, you know, the contractors and the real estate agents are just there to give them their permission to allow them to spend their money on something they justify as an investment, but really it’s a consumption item. Doug H: Right and that theme runs through your book that you’ve got to look at where the biases are. Obviously the real estate agent I mean we don’t have anything against real estate agents, they serve a perfectly useful function, but obviously they make money when you buy or sell a house. As you say the remodelling guys, the mortgage guys, whatever, it’s the same thing. So, if I had – if we could turn back the clocks, 20 years or 30 years or 10 years and whatever time period and I have two choices to make I can buy a house or rent and invest, is there any way to tell how much different life would be? Or is that too nebulous a concept to address? Alex A: It’s a little bit complicated in the sense that if you were to make an investment in the stock market, generally you would fund it all with your own capital. Whereas when you buy a house you usually lever it up and you borrow a lot of money from a bank so you get a leveraged return. Doug H: Yeah, so I can put down 5% and buy the house so that’s 20 times leverage. Doug H: Your stockbroker isn’t going to give you 20 times margin when you buy a stock. Alex A: They might give you two times if you’re lucky and you’re a good client. But if you look at the performance of housing as an investment relative to the TSX composite over the last 25 years through to 2015, the TSX composite has delivered a compound annual return of 8.0%, which has basically converted $100 in 1990 to $689 at the end of 2015, after commissions, after all the costs associated with it, so almost seven times your money. And when you compare that to house prices, the compound annual return has been 3.7% and that’s, you know, before we consider some transaction costs and ongoing costs. So, that $100 is then $261. Doug H: Yeah and if you extended that through 2017 to 2018 it probably wouldn’t be much different ’cause both the housing prices and the stock market have done well during those periods. Okay, so let’s assume that I buy your argument that from a math point of view if I had invested in the stock market 20 years ago as opposed to buying a house I would be better off, however that’s a theoretical academic argument. Let’s talk about real life. Because in real life what you’re saying is I can rent a place for a thousand bucks or I can own a place for $1,500. If I take the extra 500 bucks and put it away, then I’ll be better off. But of course in real life if I’ve got $1,500 I’m spending it. So, one of the big arguments in favour of owning a house it’s a forced savings plan. And I think you mention it in your book that parents want their kids to buy a house because well, my kids aren’t as smart as me, that’s the way all parents think. Not me, I know my kids are smarter than me. Alex A: Not even smart, it’s just irresponsible. Doug H: Yeah, they’re younger. By definition your kids are younger, they haven’t lived as long as you. So by – if they buy a house, they take on a mortgage, they have to make the mortgage payment every month. So if they save no money at all well at least in 25 years, the mortgage will be paid off, they’ll have a house that they own. That becomes a forced savings plan, they’ve got a place for when they retire. Why is that not an argument for renting over owning? Or sorry, why is that not an argument for owning over renting? Alex A: I think that is singularly the best argument for owning over renting. Doug H: Really. So if there was one argument that would be it. Alex A: Yeah if you – so, two things there. One, the objective of the book is to help people better understand housing and make better housing decisions. And it’s not necessarily arguing that any individual should rent versus buy or buy versus rent but rather to have people equip to make the right decision for themselves. Doug H: So you’re not saying you have to rent, buying is stupid. You’re saying you have to think. Alex A: Yeah and one of the big themes in the book, as you noted, is looking at the pro homeownership lobby that exists. And, you know, it’s not an organized thing but when you look at government policies, when you look at conversations at Thanksgiving and Christmas, conversations around the water cooler at work, what you find is that there’s an enormous bias towards homeownership and this, you know, shameless promotion of homeownership to the point where renters are disparaged and made to feel stupid as if they’re wasting their money. And so, what I do in the book I spend a lot of time debunking a lot of those myths like you’re throwing away your money when you’re paying a mortgage or, you know, as I mentioned the idea of investment creep that the best bang for your buck is putting money into your kitchen or bathroom. Well, it might be the best bang in terms of your renovation dollars but the return is negative and it’s immediately negative. That’s a pretty bad investment. If I told you I’d sell you a stock today at $100 that’s going to be worth $80 in eight months, you’d probably say no thank you. Doug H: Yeah, it doesn’t sound like a deal to me. Now you mentioned, what did you call it the pro homeownership lobby or something like that. Doug H: And in your book you detail the policies that governments create to promote homeownership. And you do a good job in the book of explaining why that’s what politicians do to get re-elected, you know, building houses we think creates jobs and owning a house gives you a sense of security and family and all the rest of it. The – one of the biggest pro homeownership policies in Canada I think, you can correct me if I’m wrong, is CHMC, which is a government fund set up to protect the banks. So, it’s nothing to do with the homeowners. Alex A: It’s a misconception about what mortgage insurance is actually about. Doug H: So if I can’t pay my mortgage, the bank will seize my house, sell it and if they lose money the government will cover the bank but of course the bank in the meantime can still be coming after me for the shortfall. So, CHMC is there for the banks, the lenders, not for the actual borrowers. Now my question is okay, I agree with all of that, should we just abolish CHMC then? Alex A: You know, I think there are a lot of really good aspects to homeownership and the government lobby towards home ownership, whether it’s CHMC basically subsidizing the interest rates that an individual homebuyer can get or being able to borrow from your RRSP or getting a rebate on your land transfer tax or avoiding capital gains tax on your principle residents. Those are all tool that the government uses to promote homeownership and the positives of homeownership in society are pretty material. Homeowners are generally harder working, more productive people and that goes back to the structure of the finance of the purpose of a house. If you have a $500,000 mortgage and you know that you have to make that payment every month, if you’re on the fence about whether to go to work for the fifth day in the row that you were sick, you might go to work because you need your job and you’ve got to pay your mortgage. If you don’t have that you may not decide to go to work if you’re more financially secure, so sort of the stick of a mortgage makes people more productive. It also tends to make people a little bit more law abiding. So if you have some really shiny expensive thing that you’ve spent 20 years trying to pay off, the odds are you’re not going to run down the street and mess around with someone else’s shiny thing because you don’t want them messing with your thing. So, there are some really positive things about homeownership for society, you know, more productive, less criminal activity, all sorts of really positive things. But the problem with it is that the advice that comes out and the structure of the promotion of homeownership isn’t something that should be left unchecked. If you look at what happened in the U.S. in the run up to the 2007, 8, 9 housing crisis, that was irresponsible government policy and it just went way too far. I mean in the early 2000s Bush was talking about trying to drive homeownership rates above 70%. And, you know, there was a big push for minority homeownership and there were all sorts of crazy deregulation things that come up. I remember there was one policy announcement where Bush announced the American Dream Down Payment Fund, which the explicit purpose for this down payment fund was for Americans to overcome the number one impediment to homeownership, which was not having a down payment. So at that point they were essentially giving away money for people to buy houses. And that just completely dislocates the incentive structure and the behavioural benefits that you’re trying to get from homeownership, which lead to the really irresponsible activity that you saw in the U.S. and the massive economic destruction. Interestingly enough CHMC in the last five years, 10 years even, has actually been doing a pretty good job. Doug H: Well, they’ve dialed it back from where they were. Alex A: They have. And it’s interesting, CHMC got lucky in that it was following in the footsteps of the United States in terms of, you know, moving amortizations from 25 years to 30 to 35 to 40 years. Moving down payments all the way to zero and then I – there were methods in which you could actually get cash out of buying a house for a brief period in Canada. In the U.S. that was quite common. And Canada’s housing market didn’t crash the same way the United States housing market did. But since that time you’ve seen very significant tightening of lending and credit standards, you know, even January 1st of 2018 there are more changes kicking in and so those are all moving in the right direction. And those are all federal policies or I guess CHMC but with the sponsorship of the Department of Finance and the government. And yet at the same time you’ve got different incentive structures and different policies that are coming in at the provincial level. Ontario is in particular a fascinating market to be watching, Toronto being the GTA, being the largest market. And you’ve got policies that were announced earlier this year from the provincial side or extending rent controls, changing the OMB. You know, you don’t want to get too far under the weeds but those are effectively policies that are counterproductive in terms of helping afford housing and are more likely to result in less supply and higher prices. So, at current, the Toronto housing market for instance is sort of battling with a federal government who is tightening the reigns and making it more difficult for people to buy and at the same time the provincial government is restricting the supply of housing, which is aggravating the situation. And so when you think about, you know, I sort of go back to this idea if you’re a 27 year old living in Toronto making an average household income of 70 odd thousand dollars, you’re feeling this tremendous pressure to buy a house from your parents and your co-workers and the realtor and the bank and everyone else, the government who’s involved in promoting homeownership. Not only is that a challenging position to be in, most people don’t have the awareness and understanding of the housing market to make an educated decisions, but the stakes keeping getting higher. And this isn’t, when you think about a free market, free markets are driven by the forces of supply and demand but in the housing market it’s a lot more complicated than that because there’s a huge amount of government regulation. Everything from the green belt, which there’s all sorts of land around Toronto that just simply can’t be developed to housing, to the access to credit, which is subsidized by CHMC but has been getting tougher and tougher. If it were to get easier and easier you might even see a more rapid acceleration in house prices. So it’s really not a market at all, it’s a highly regulated market I guess. And the things that are driving changes in the economics of housing are not driven by economics, they’re driven by politics. Doug H: Yeah and like you say you’ve got the federal government working against the provincial government in effect with their different policies. So, CHMC, and you go through this in your book has, they were lucky in that the U.S. market crashed before ours did and so the Canadians were able to go uh oh, look what happened. ‘Cause back in the day you could get a 100% mortgage, you could get a 40 year term, a whole bunch of things that don’t exist anymore. So CHMC has dialed it back a bit, as has the government and you talked about, you know, January 1st, 2018 more aggressive qualification rules for mortgages and so on. So what would happen though if CHMC were to either not exist or was to continue to be dialed back? ‘Cause I assume they’ve got something like, I don’t know, a few hundred billion dollars of mortgages that they guarantee right now. What would happen if that were to be consciously reduced, what would seriously affect the market, would that crash the market? Alex A: So, I mean it all depends on the magnitude of the changes. If you were to go back in time and eliminate CHMC entirely, you would find that, you know, you or I walking into a bank or the average Canadian walking into a bank saying I’d like to borrow eight times my household income, what do you think? They might say well, you know. Alex A: No. Or if they did they might say well how does 9% sound when the 10 year government of Canada is 2% or 1.8%. You would have a very wide credit spread. You’d have a much more expensive cost of borrow. Doug H: But is it also not true that that house in Toronto that cost a million dollars would only cost $450,000 because without the debt backing it up it would never have been able to get that high to begin with. Doug H: Like you say politicians are doing other things. So, okay so let’s – I got two final questions for you then. My first one is there anything in the book that you really want to point that that we’ve glossed over? I think we hit the main themes but is there anything else that oh you forgot that chapter, which is the best one of all. Alex A: You know, I think there’s an interesting chapter in there about the big six markets in Canada and understanding as a read analyst working for a bank I would get lots of hedge funds calling me over the last five years in sort of periodic waves saying the Canadian housing market looks a whole lot like the U.S, market in 2006 and 2007. And, you know, personal leverage and personal debt is approaching levels or in access of levels of what you had in the U.S. And so absolutely there’s a massive crash coming to the Canadian housing market. So one of the things that I’ve done in the book is a chapter on the big six markets in Canada, which are the majority of the value of the Canadian housing market. And looking at the structure of each individual market and there are rules of thumb that have helped people understand that pricing of housing in various different environments and various different types of markets. Doug H: Two islands, yep. Alex A: And then you contrast that with Ottawa, Calgary and Edmonton which are essentially unconstrained markets where you can build to the horizon. So, when you look at those two different kind of markets, you look at price to income is probably the best measure. And it does get skewed a little bit by interest rates, but over long periods of time what you see that is in unconstrained markets, price to income generally oscillates between three and five times. In a low interest rate environment maybe you get up to six times. So the housing market is expensive at six and cheap at three or four. In a constrained market you’re going to see anywhere from five or six times up to 11 or even 12 times in a low interest rate environment. And so one of the I think big misconceptions about the Toronto housing market in particular is that it moved from, you know, in the early 90s in the four or five times range all the way up to more recently 10 times. And the missing piece in people’s understanding in the Toronto market is it went from a unconstrained market, or largely unconstrained market, to a constrained market overnight. And I mean I can get a lot more into that. But the specifics of each of those different markets and understanding those markets will help people understand, you know, the pros and cons and investment characteristics that you’re like to see from an investment and housing in those markets and what your expectations should be. Doug H: Yeah and in that chapter, and throughout the book, you make the point that what you really – the value is the land not the building. Doug H: And so, if you think about that in those terms – of course the building can be replaced, it’s going to wear out, the land continues to go up in value. So, okay final question then is advice. So let’s break it into two parts. So, if I am considering buying a house, let’s say I’m 30 years old, I’m 35 or 40 years old, whatever it is, I’ve put away some money and I’m kind of struggling with the decision and you’ve got, the last two chapters in the book kind of are almost checklists okay here are the things you’ve got to think about. So, buy the book, go to the last couple of chapters and you can see this. Because the thought process I think if I’m buying a house is well, there’s the money aspect of it, which you talked about but there’s also the psychology aspect of it. I mean my kids, I want them in a good school district, if I own the house the landlord can’t sell the house. I don’t have to move. I can have a dog, which I can’t have in some houses. I want to paint the walls green, well I can’t do that if it’s a landlord house. Although you do have an interesting section on the book where you talk about real estate agent who rent houses and actually do renos on them and make deals with the landlord so that’s obviously not an impossibility. So, if I’m thinking about buying a house, what are the things I should be thinking about? Alex A: The way that I think about the decision or own to rent is a lot like prescription drugs. So every person has a unique prescription and that prescription can change over time. Doug H: So it’s not one size fits all. Doug H: Which is a one size fits all prescription. Alex A: So, you know, other things to consider are how long do you expect to be in that location, is it suitable for whatever is going to happen in your life? I mean one of the common things I think in Toronto certainly is that people in their 20s feel the pressure to buy and they’ll run into the market and buy a bachelor condominium or a one bedroom condominium. If you’re in your mid to late 20s there’s probably some chance that you may get married at some point, at which point your bachelor apartment is probably not the ideal solution. And if you’re a couple of years away from that, buying a condo and paying 5% transaction costs on the way in and 5% transaction costs on the way out, probably makes it very, very difficult for you to generate a positive return on that investment. So, you know, what your life is going to look like over the next five or 10 years, you know, any type of impact on your work, if you have a job that is likely to see you move to another location, if you have precarious employment renting is definitely more suitable choice. The transaction costs associated with buying and selling houses are enormous and the transaction costs associated with changing your rental situation are basically zero. Doug H: Yeah, pick up and move. Doug H: So, that’s the advice you would give someone buying a house or considering it, what advice would you give to the parents that, you know, a guy like me, 50, 60 years old who’s got a 20 or 30 year old kid who I want to push into the housing market because it worked so well for me I think, although in the book again you explain how that may not be so. So what should I as a parent be thinking about before I start, you know, giving advice? Because again you make the point in the book that just because you’ve owned a house does not make you a real estate expert, just because you happened to buy at the perfect time in the market and it went up does not make you an expert investor. So what’s the advice you would give to someone who’s giving advice? Alex A: And it also doesn’t mean that the return that you believe you have achieved on your house is actually what you’ve achieved. But no, I think the biggest objective of the book and I think that I would like to see is a better educated, you know, general population on personal finance in a particular on housing decisions. And so, the advice that I like to give people is learn as much as you can about this decision, which is the biggest financial decision you’ll make in your life. I wrote the book in a what I had aspired to be a very easy reading quick and informative and not too heavy type of a format and I’ve gotten some feedback that it is actually pretty easy to read. Doug H: I understood it. Alex A: And so I tried to make it as accessible as possible and as broad as possible. So, I think reading the book is really helpful. My favourite experience from writing the book is getting email from people who say, you know, thank you for writing the book I really enjoyed it. I was feeling a tremendous amount of pressure to buy a house or, you know, at the other end of the spectrum a lot of retirees, empty nesters living in houses that are far too big, understanding their housing situation a little bit better. But the, sort of the millennial crowd who are facing these first time housing decisions writing me emails saying, you know, I was under a tremendous amount of pressure, I didn’t feel right about it. I was about to make a leap, I read your book and probably about 70% of them say I’m still going to buy a house but I’m going to buy a different house than I was going to buy and I feel much more confident in the decisions that I’m making because now I understand more about housing. And, you know, like I think I started the book and finished the book by saying, I don’t care whether you own or rent, whether you live in a high-rise, a single family, a big town or a small town. The important part is getting educated about your housing decisions so that you can make the best housing decision for you and not simply be persuade by someone else who is giving you advice that reflects their objectives not yours. Doug H: Excellent. Well, that’s a great way to end it and I like your comment about it’s like a prescription, it’s not one size fits all something works for somebody, it might not work for somebody else. Excellent, thanks very much for being here Alex. Alex A: Thanks for having me Doug. Doug H: Thank you. That’s Alex Avery the book is The Wealthy Renter, How to Choose Housing That Will Make You Rich. And it’s available all over bookstores everywhere, Amazon, all over the place. So feel free to check that out. I will put links in the show notes to Alex’ book where you can find it. So, you can go over to hoyes.com and there will also be a full transcript of the show. So, until next week, thank you Alex, I’m Doug Hoyes, thanks for listening. That was Debt Free in 30.